The weekend is here, and I have some updates to share with you on gluten free stuff. You may be interested even if you’re not doing gluten free and just eating healthier. Of course, if you’re not eating healthy, well, reading is entirely up to you. But first, updates and articles of interest. I’m still walking. And walking. And mostly wearing myself out. But I like walking, so I keep at it, although I may take a dip in the pool later this evening instead. I think I’m gaining weight, but Neighbor K says no. She’s nice that way. Wanna see the HeatCageKitchen garden? 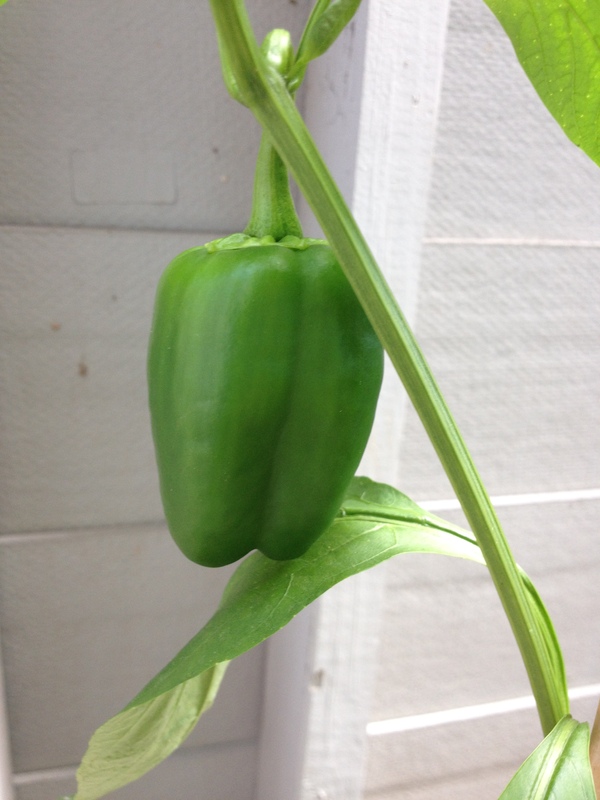 The little pepper is bigger than two golf balls, there is no change in the chile pepper or Meyer lemons, and I’m getting little red franken-berries again in the basket. My little baby, and more growing behind it. 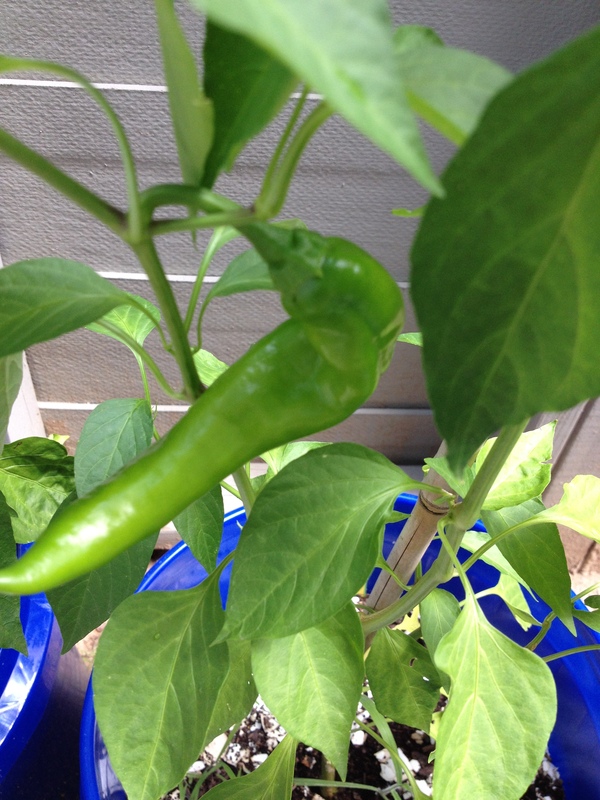 Not really a “Hatch” chile, since it wasn’t grown in Hatch, NM. But close. 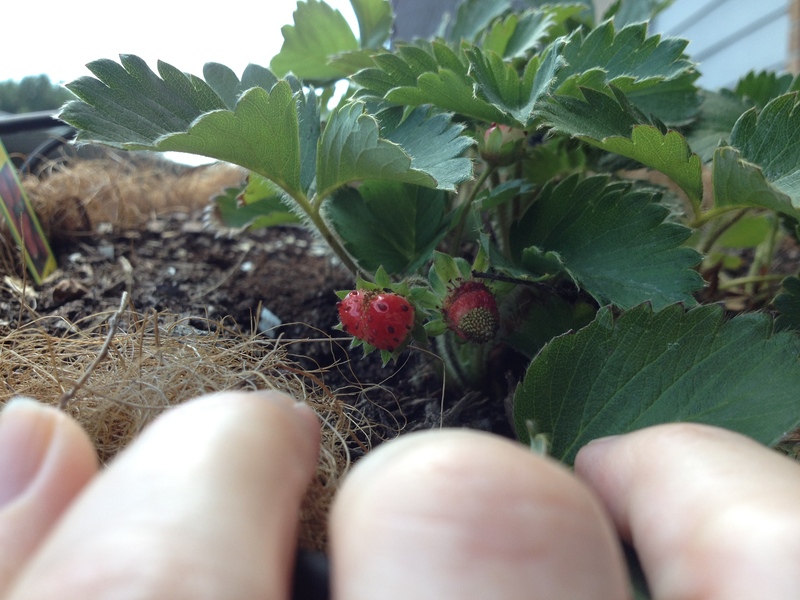 Yes, they’re strawberries, even if they don’t look to spec. And yes, I do know what that looks like. 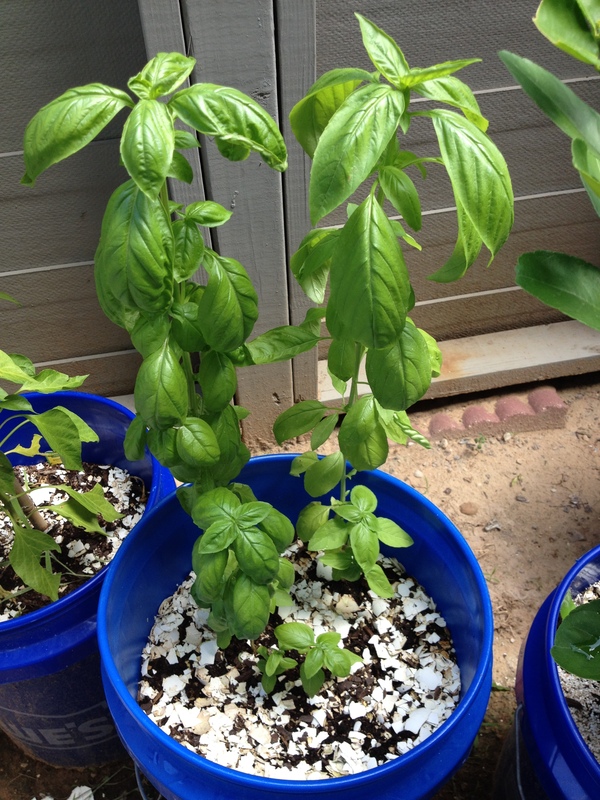 By the way, that’s SEVEN stems of basil growing. Two didn’t make it after the last harvest, so I pulled them; but the rest that were cut down are now re-growing leaves. Another Pesto Saturday will be coming soon, at least one more, and my freezer will be storing it for a cold winter day. Maybe me and the GER will be enjoying a pot of Pea And Pesto Soup, and he will finally understand why I like it so much. While this isn’t food related, I saw an interesting story today in the UK’s Daily Mail, an interesting mix of real news and the celebrity nonsense. Mixed among today’s numerous stories about the K family and the late Robin Williams was this story about a couple of sisters and their company, Sword And Plough, not only doing some great recycling, they’re making it in America and employing veterans. The kicker: one is active duty Army! If you’ve got a student going to college soon, they make some fantastic bags and things from, no kidding, military surplus fabric that would have otherwise been wasted. Their messenger bags look fantastic, and if I were in the market for one, I’d be getting the Coast Guard Blue model. The messenger or tote bag would be a great gift for a graduate or someone just starting their first job, and the rucksack would be an awesome Christmas gift for someone who likes camping, hiking and outdoorsy stuff. Think about it–recycling, classic well-made designs, creating jobs, helping American vets, all in one fell swoop! Also in Today’s Daily Mail, an article about bloggers who create healthier versions of favorite treats that are supposed to do miracle things. Dunno about the miracle stuff, but they’re certainly healthier. While they do use “raw” ingredients, one I don’t know about is “Organic Greens Complex.” Never heard of it, but since I stand little chance of ever looking like Australian Victoria’s Secret model Miranda Kerr, I’m not too worried about it. If I can find it, maybe I’ll try a couple of these recipes and let you know the results. However–one thing I notice is the high starch content of the dates and bananas. Yes, bananas can create a great fake-me-out ice cream, but the sugar content may be higher than Blue Bell. If you’re diabetic and/or trying to lose weight, you have to pay attention. 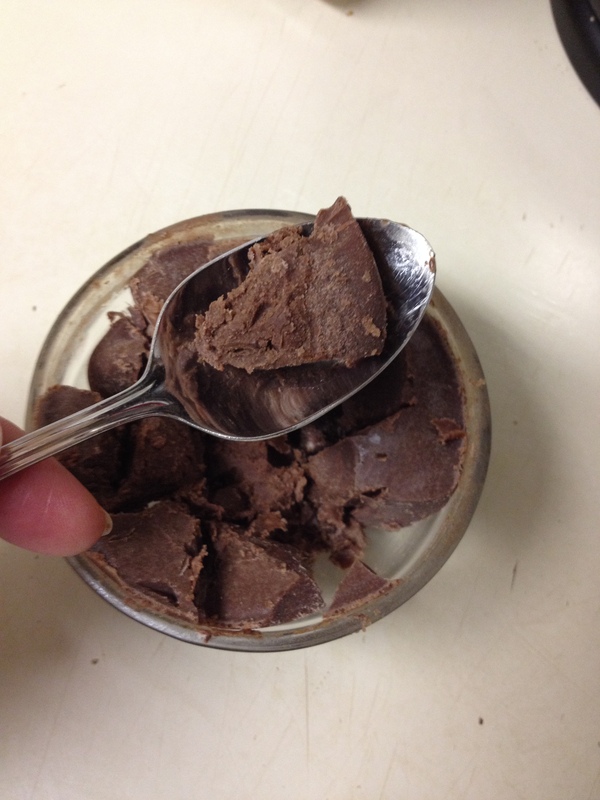 Later I’ll give you a super-secret HeatCageKitchen healthy chocolate treat I’ve never told anyone about, not even Neighbor K. Sit tight–it has three ingredients and doesn’t take long at all. I get a LOT of different emails, and some are health-related, while some I just don’t know how they showed up. One I get and actually read occasionally is Doug Kaufman’s Know The Cause. Kaufman and his staff of writers talk about different health topics, primarily the problem of fungus in humans and how it affects disease, including things like cancer. If you’ve read my posts on the Yeast Free Diet, you’ll be at least a bit familiar with it and the mycotoxins put into the system by Candida Albicans, you’ll understand. This particular time, would you believe it, is a short article on Apple Cider Vinegar. No kidding, maybe I should have waited on that one. But you can click on the link and read it; not long at all. But if you’re interested in learning more about the fungus among us, Know The Cause is a great place to start. Faithful reader Aunt Kathy passed along another gluten free comic she found this week, this one from Six Chix. Remember, of course, that I also know the GER, who says, “Oh, I love gluten!” He also loves coffee and breakfast from a gas station. One of these days, right? 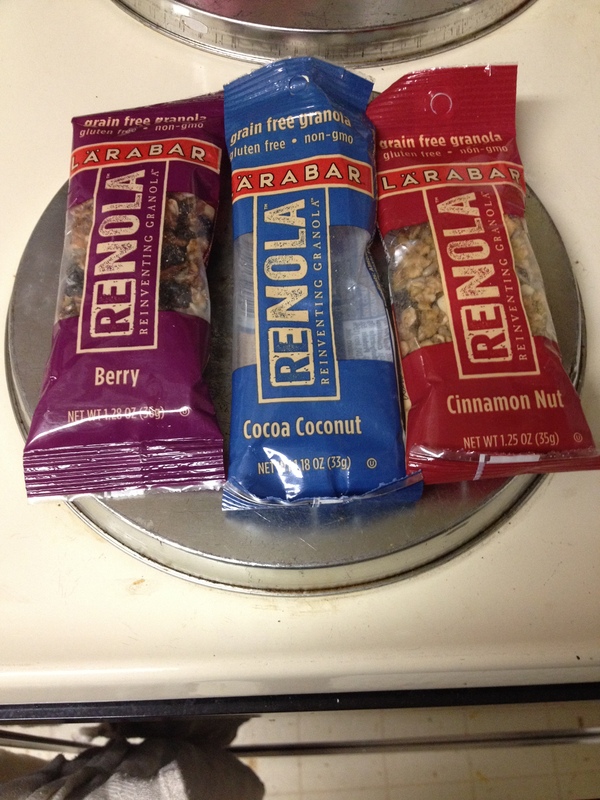 Granola nibbles for the gluten-free set. As you can see, I couldn’t resist trying one of them before I got home. 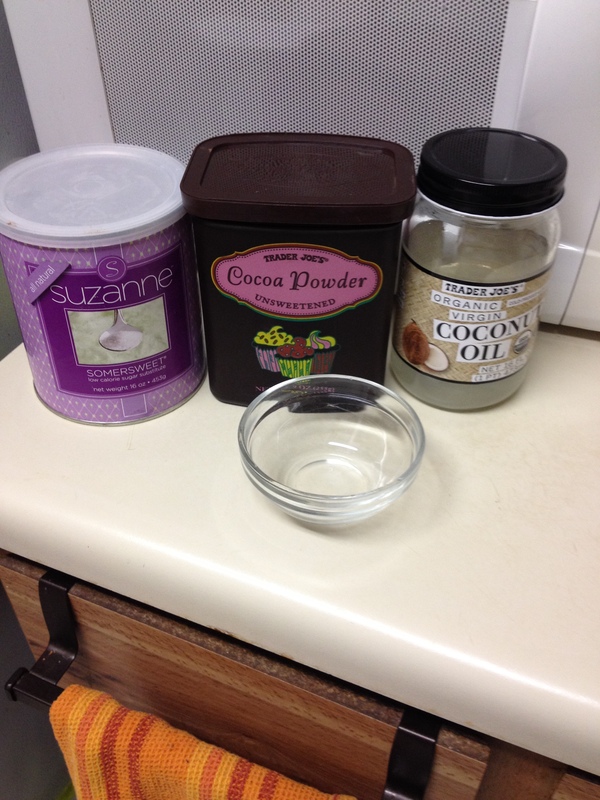 Out of all three, I think I like the Cocoa Coconut the best. But that’s just me, and they were all good, too. They were 10 for $10 at Kroger, but I only bought the three. Parents, this is something you can feel good about packing in your kid’s lunch bag, you know? They get a treat, and you don’t have to worry about what’s in it–particularly if s/he has allergies. Now, if you’re health conscious, gluten conscious, or just careful about what you’re eating, you know you have to read labels, and not just once. Today’s “healthy” snack may have been changed to contain high-fructose corn syrup, and if you didn’t notice it, you’ll have a surprise if it makes you sick or you suddenly have a sugar rush you weren’t expecting. No kidding–I once went to the grocery and asked Neighbor K if she needed anything; she asked if I would get her a bottle of honey. No problem, and she gave me a $10 or $20 to cover it. As I was picking a brand, I turned over one bottle to discover that the first ingredient was. . .HFCS. I’ve never been careless about reading labels again. Of course, that’s a lot of work, and you have to know a little about what you’re doing, and educating yourself is key, whether you’re gluten-free or not. Now, the federal government is getting into the act, and if you’re going to call something gluten-free, you have to follow their rules. Oh, yes, the government sticking their beaks in this one is going to help immensely, isn’t it? Listen up: almonds are gluten free. Fruit is gluten free. Tomatoes, bell peppers, Hatch chile peppers, garbanzo and cannellini beans, coffee, Sweet ‘N Low and milk are. . .gluten free. Why? Because gluten doesn’t come anywhere near it. Ever. Do we really need rules for this? Learn what you’re doing and read the labels. Now, many call this gluten-free thing a fad, and there are some who will call it “dangerous and unhealthy.” How can leaving something out of your diet that can cause harm be “dangerous?” If you’ve read Wheat Belly, you know exactly why–the modern GMO 42-chromosome wheat grain can cause havoc in even otherwise healthy people. Sugar is also well-documented as a harmful substance, and causes a host of health issues, including inflammation. All carbohydrates break down into sugar in the blood stream, including, but not limited to wheat, so you see why wheat can cause problems, along with a lot of other things that become, one way or another, sugar as an end product. Then again, like the GER, not everyone understands the whole gluten-free thing. Thanks to the esteemed Wall Street Journal, they keep on top of these kinds of things. It’s not a craze if you have that gluten allergy, trust me–I know people who have it, and they have to be careful. And I disagree–everyone can benefit from gluten-free, they just don’t know it yet. Again, starting with Wheat Belly is the way to go; Dr. Davis explains everything well. OK, enough of that. Who wants a cupcake? I started getting Facebook feeds from Elena’s Pantry, and one day, this popped up. Made with coconut oil and flour, they’re also good for folks with a nut allergy (which, thankfully, I’ve escaped–I love just about all nuts.) With the holiday season coming soon, this may be a good recipe to have in your back pocket for parties, especially children’s parties, where allergies are more prevalent. Elegant Elena Amsterdam has written three books: one on Paleo cooking, one book on gluten free with almond flour, and another book of gluten free cupcakes made with almond and coconut flour. I do not yet have these books, but they ARE on my wish list, along with Bruce Fife’s book on coconut flour. I haven’t written about coconut flour yet, because I really don’t use it much, and it tends to be more expensive. I have a small amount in the fridge now, because I don’t use it much; usually for the cupcakes or something else from Babycakes and Babycakes Covers the Classics. 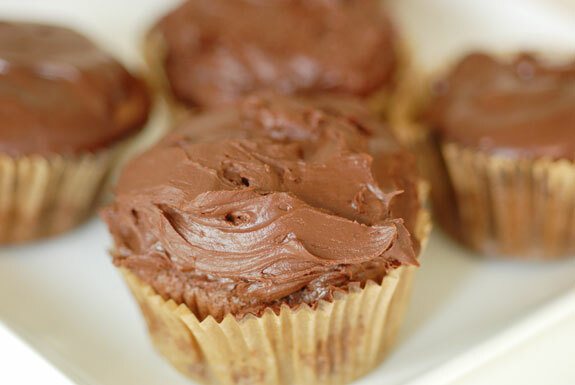 And now, for the first time ever, a healthy chocolate treat that’s easy to make has three ingredients and tastes awesome. This has been a HeatCageKitchen secret for some time, discovered by accident, but I’m releasing it now, and may include it in the cookbook, if I ever get around to writing it. The coconut oil is liquid because it’s on a top shelf on my pantry, which is warm in the daytime. That makes it easy to tell the weather. In the winter, it’s hard as a rock. Incidentally, this is the kind that actually tastes like coconut oil, not the somewhat refined stuff that has the taste taken out. You want that coconut flavor in the chocolate; it’s wonderful. 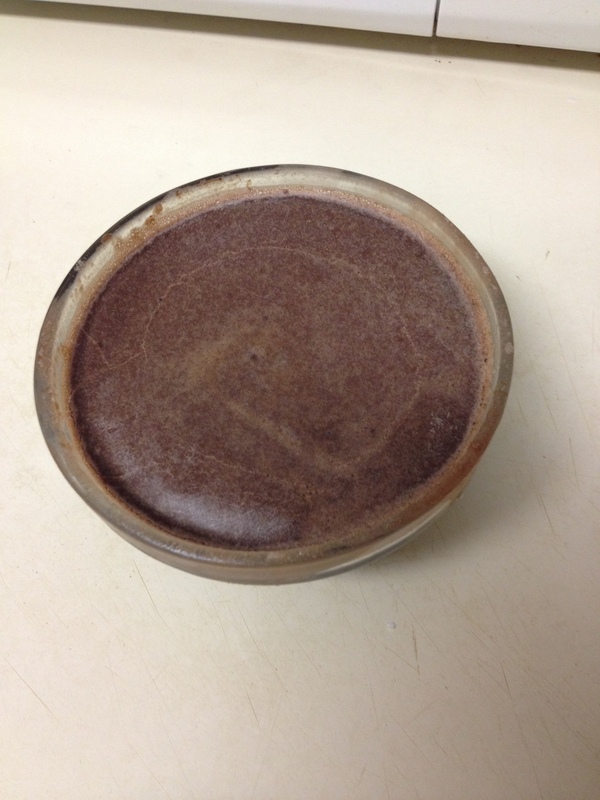 So you pour out about 2.5 to 3 ounces of melted coconut oil into your container. 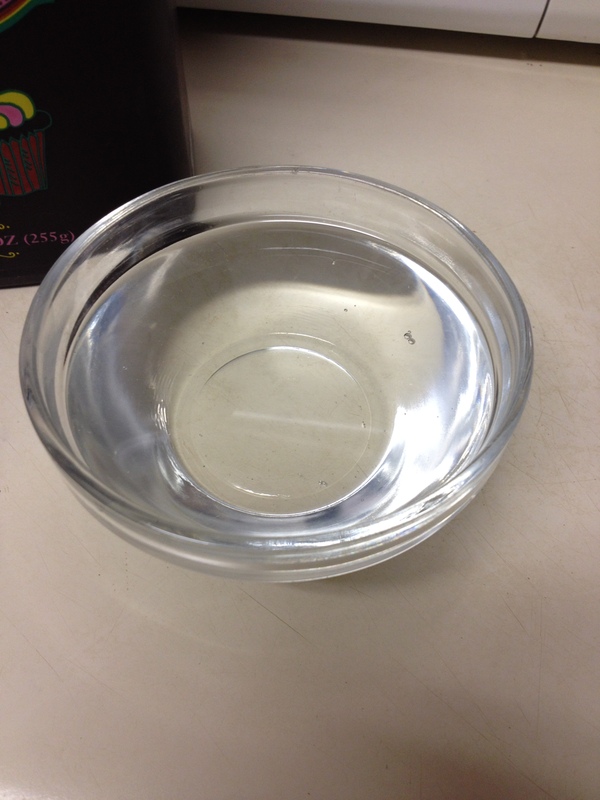 This just happens to be a pinch bowl from Cost Plus World Market, and I just measured it with water. To the bottom rim is 3 ounces. Now this is the subjective part–longtime readers know of my preference for SomerSweet, Suzanne Somers patented erythrytol based natural sweetener and rejection of the toxic types like Splenda and Equal/Nutrasweet. 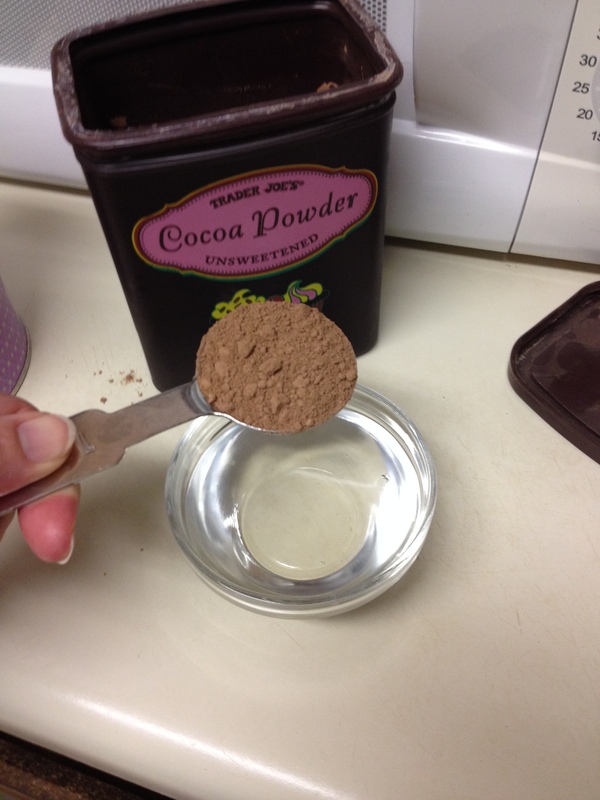 However, if you’ve got something else that works as well, like a stevia blend or something similar to SomerSweet, go for it. 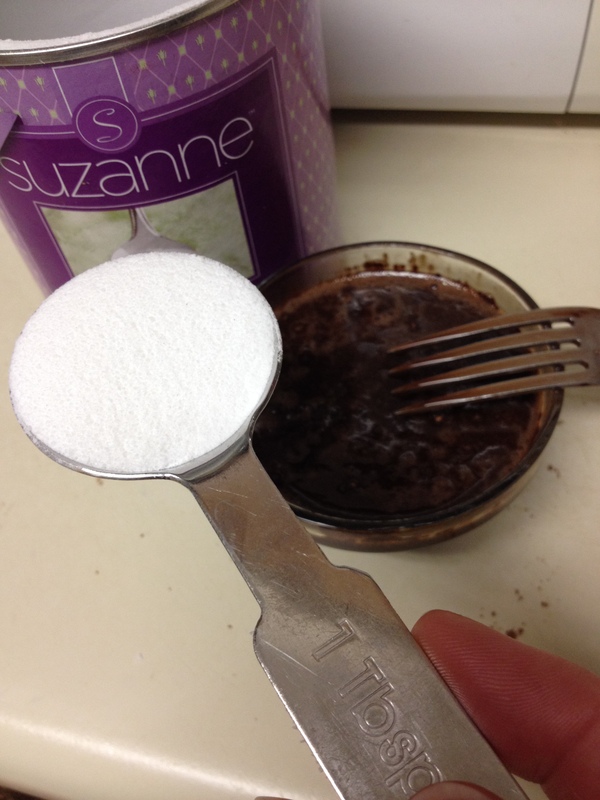 Two tablespoons, one at a time. Break it up into pieces, very carefully, either with a spoon or the point of a wide-bladed knife, so you can eat it. I recommend a spoon, because if you eat it with your hands, the coconut oil will melt at body temperature. THAT, ladies and gentleman, will be a mess beyond compare. If you don’t believe me, try it. Don’t gripe to me when you have chocolate on your keyboard, your cell phone, your doorknob, your dog and your iPad,OK? You have been warned. Rich, satisfying, healthy, and oh-so-sweet. Next post I’m planning on writing about chia seeds. . .mostly because I have a batch in the pantry to use up, so I’m going to try a recipe or two I found and report on them. If you have any questions before then, you can now email me at heatcagekitchen@gmail.com, and I’ll try to answer them in the blog post. It’s Friday, and the weekend is here.